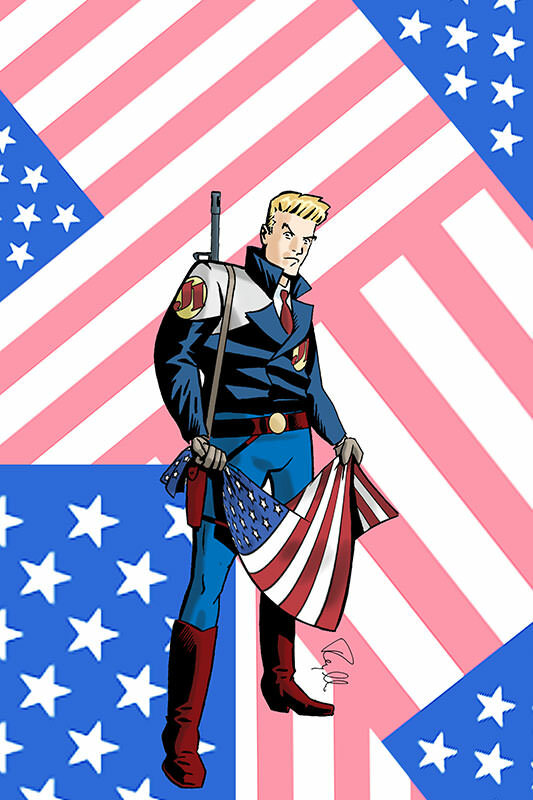 Originally posted at the WCG Comics website here. CAPS' annual semi-formal banquet is always one of the group's highlights of the year. Past honorees include Will Eisner, Jonathan Winters, Ray Bradbury, Mell Lazarus, Bill Melendez, and many others. The evening was fun and full of laughter. MC'd by Mark Evanier (a founding member of CAPS), the evening's speakers also included CAPS members Bill Morrison (the group's current president) and Scott Shaw!, as well as Marv Wolfman. Two professional-quality video presentations featuring personal photos and home movie footage were also shown. All the speakers are personal friends of Stan's, so the evening included some good-natured ribbing as well. 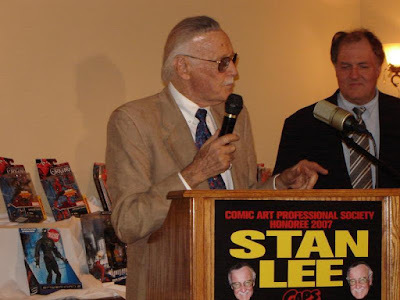 In addition to the many regular CAPS members who attended like Stan Sakai and Gary Owens, other guests included many of Lee's friends and families. The evening culminated, of course, with the presentation of the Sergio Award. Stan expressed heartfelt appreciation for the award, and in a touching moment made a special point of graciously acknowledging by name the outstanding cartoonists he had the fortune to collaborate with over the years, including Jack Kirby, Steve Ditko, John Romita, and Gene Colan. Stan ended his remarks, of course, with a hearty "Excelsior!" (This was not the first time I had the opportunity to meet Stan at a CAPS event. 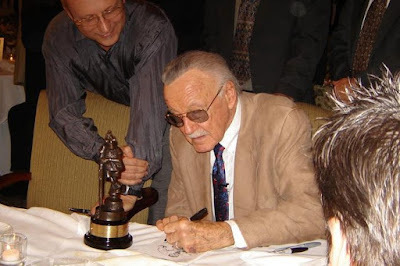 Back in 2003, Stan was the featured guest speaker at a CAPS meeting. Due to a last-minute snafu, the group had to move the meeting to a restaurant across the street that kindly opened its doors for us at our request. After we re-located, I sat down, felt a tap on my shoulder, and heard someone ask, "Is this seat taken?" It turned out to be Lee! I said "Sure! 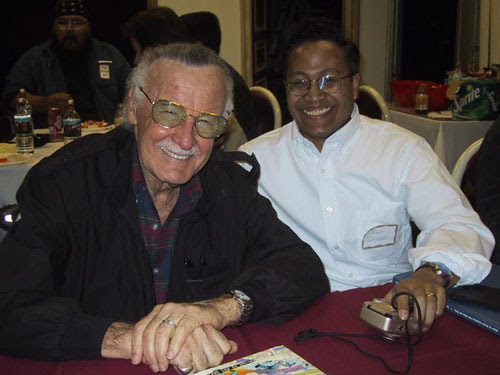 ", which sure made it easy for me to ask him to autograph my copy of Drawing Comics the Marvel Way, which I had brought along for the occasion. 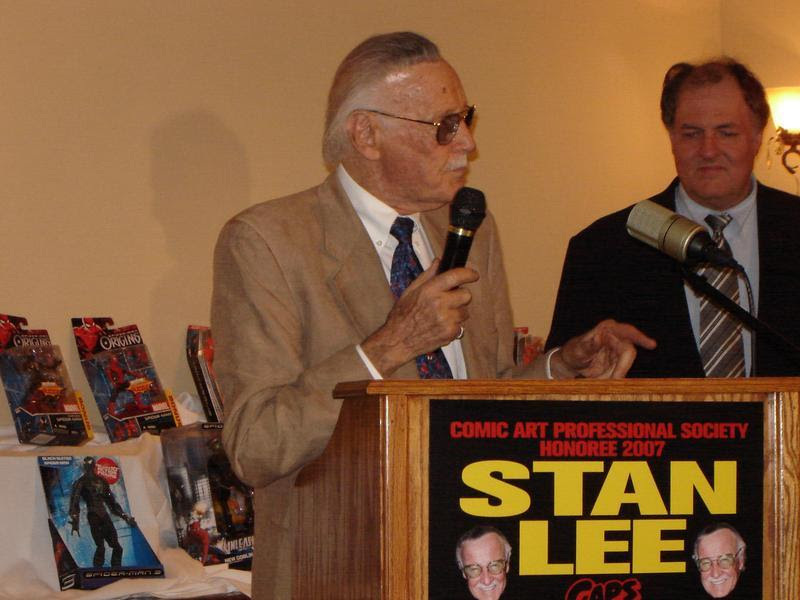 A photo from the evening of me with Stan is posted below (courtesy of David Folkman).